Spend less time worrying about crafting the perfect e-mail. 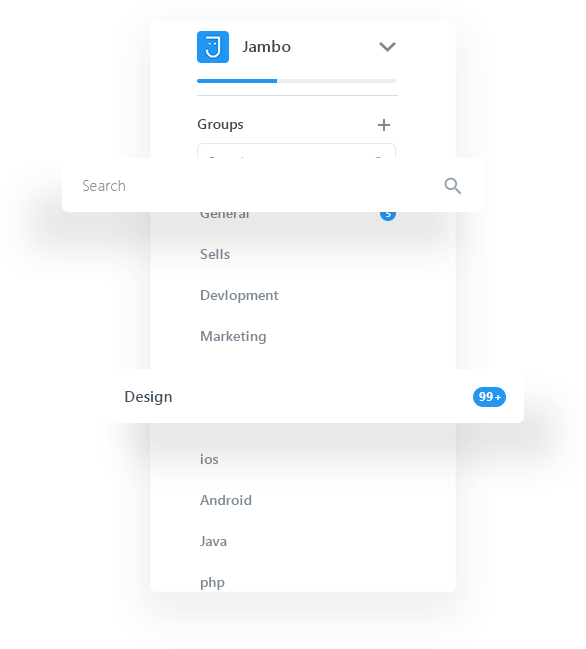 With the Enterprise Chat, just search and reach any member in the entire community instantly. Save all the trouble and communicate the right information at the right time. 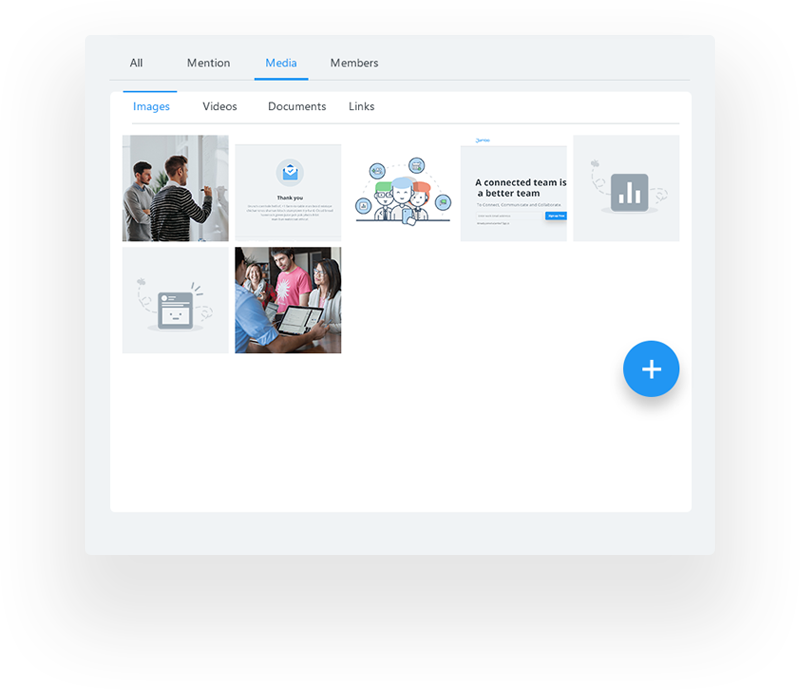 Create a repository of detailed information and backgrounds of all your members in one place. 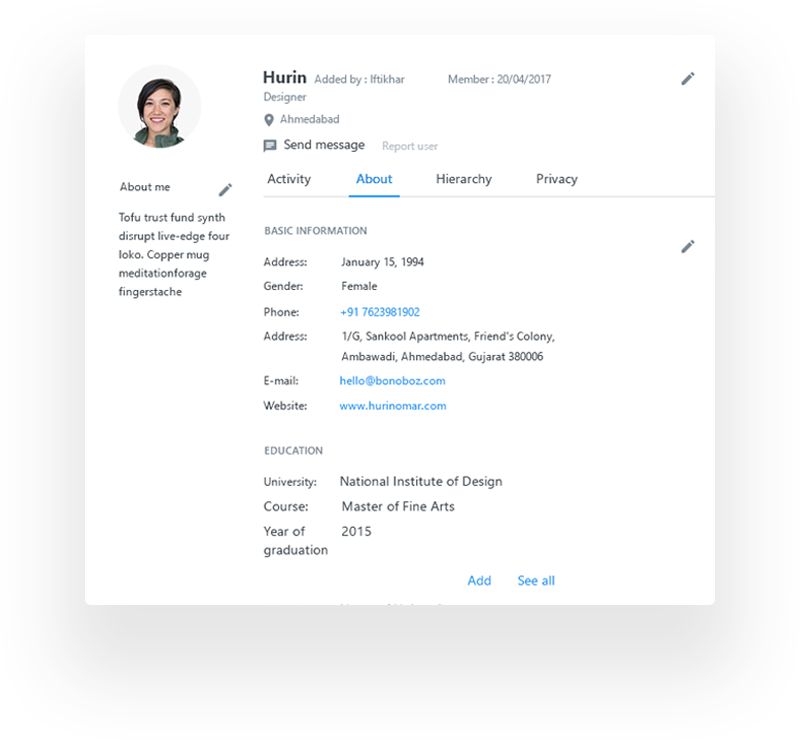 Extended profiles make it possible for your users to find people with the relevant skill set for their projects or may be simply someone that they know back from their school! Make groups as per your requirements or interests. Cut the noise and get the right messages to the right people. 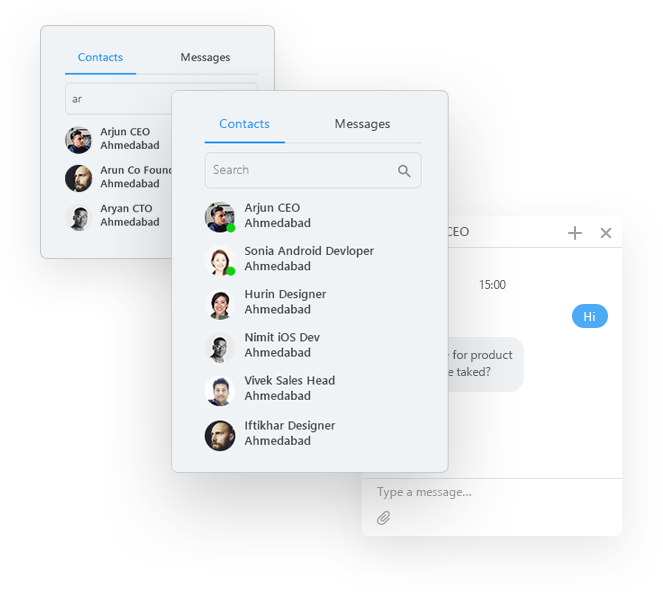 Organize your conversations in these groups. Groups help you make decisions quickly and keep your team on the same page. 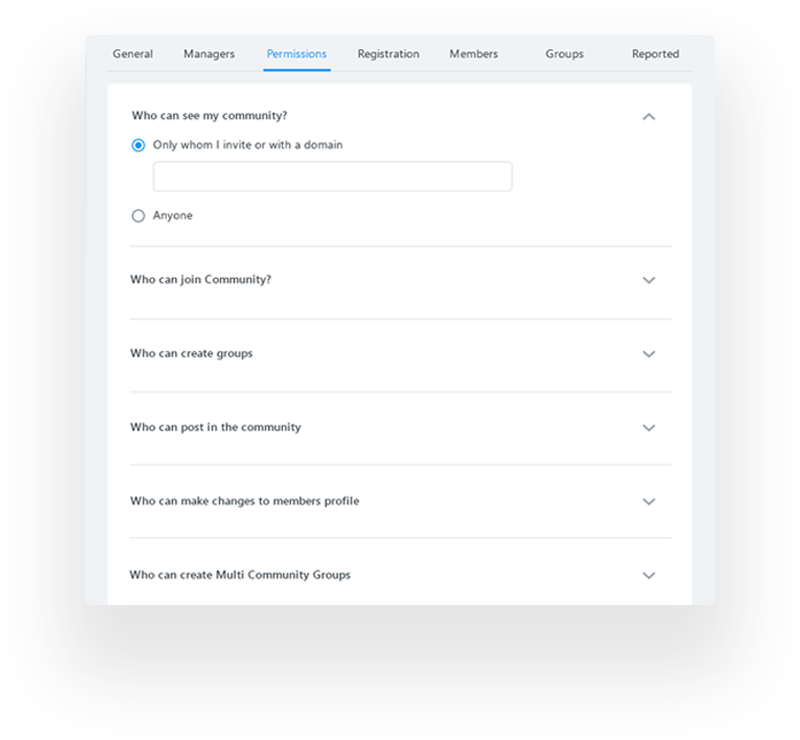 Settings like invitations and permissions make it easy to choose who in your organization can create groups, see groups or even join them. 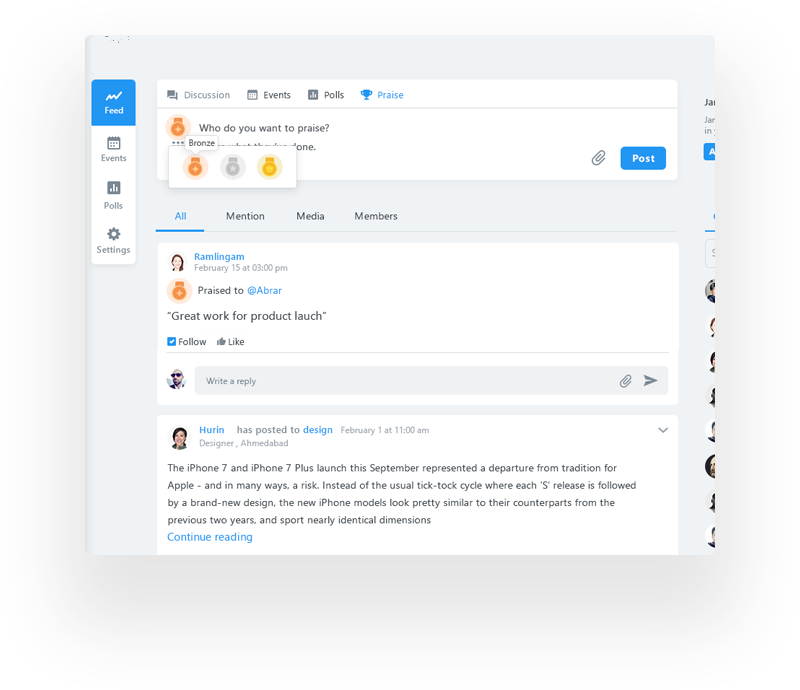 To manage multiple groups that spring up, make managers admin and let them moderate their groups while employees have the option to report anything inappropriate to these admins. 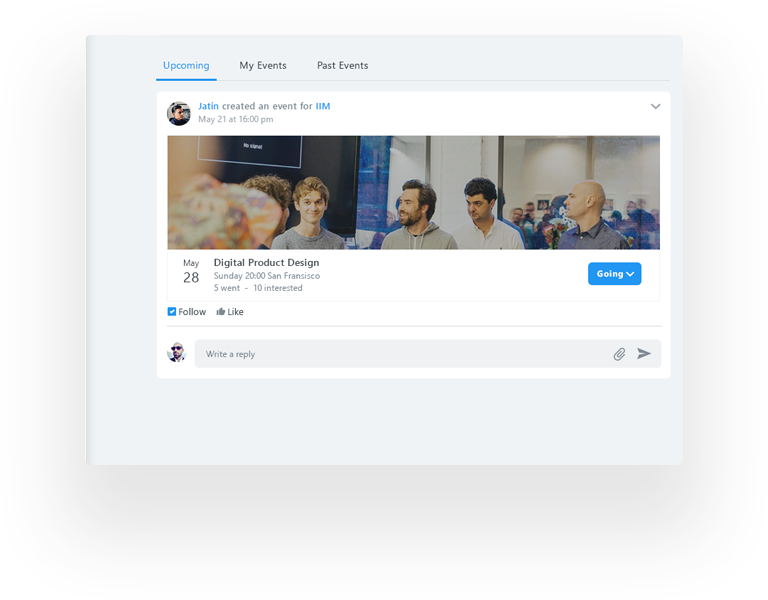 Create events and invite colleagues by simply adding descriptions, inviting members/guests and setting up the time & place. Customize the event by making it free or paid, open to all or invited only and restricting the number of guests. Set up payment options for paid events and let guests print their tickets. Option like badges, praise and recognize a deed help you boost an employee’s morale and build positive reinforcement. Encourage peer-to-peer appreciation or manager-to-employee praise depending on your company’s culture and requirement, and make sure that your employees feel noticed and rewarded for all the hard work that they put in.